Herbert Ernest Hart was born in 1882, the eldest of William and Mary Ann Hart’s four children. Soon after, the family moved from Taratahi to Dalefield, both outlying areas of Carterton. Known in the family as Bert, he was educated at Dalefield School and Carterton District High School. After a brief spell as a pupil-teacher, Herbert worked for his Fairbrother cousins in Carterton. He studied commercial subjects and became the accountant for George Fairbrother. He was a keen rugby player and cricketer. The advent of the South African War enabled Herbert to experience military life, leaving with the New Zealand 9th Contingent in 1902, although underage and already engaged to Minnie Renall. The war had virtually finished by the time the contingent arrived. He went on to Britain and returned home in 1903, marrying Minnie shortly after. Over the next decade, Herbert trained as a solicitor in Carterton, became a father and continued his military interests with the Carterton Rifle Volunteers and the Territorial Army. By 1914 he was a major in the 17th (Ruahine) Regiment and on war’s outbreak, immediately volunteered for the NZEF. 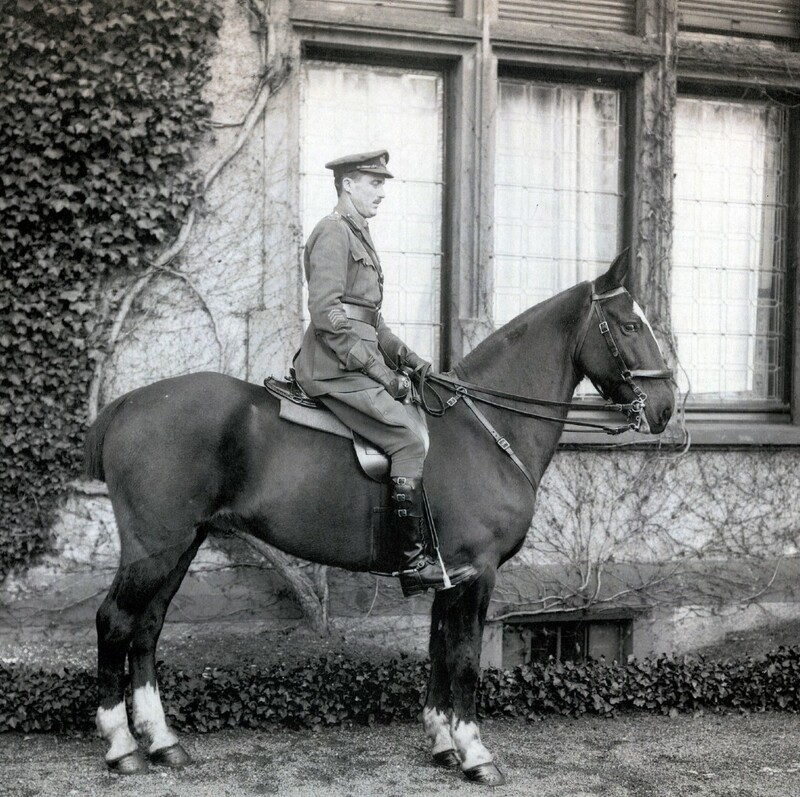 He was appointed as second-in-command of the Wellington Infantry Battalion under Lieutenant-Colonel Malone, and commenced training at Awapuni Racecourse. Herbert took part in the Gallipoli landing and was seriously wounded in the fighting on 27 April 1915 at Walker’s Ridge. Evacuated to England for recovery, he was appointed to command the Wellington Battalion after Malone’s death on Chunuk Bair in August 1915. He rejoined his unit later that month as lieutenant-colonel and saw out the campaign until evacuation in December 1915. He led the Wellington Battalion to France in April 1916. After the N.Z. Division fought on the Somme in September-October 1916, Herbert had his first taste of higher command, becoming the temporary commander of 1st NZ Infantry Brigade. By 1919, he had commanded each of the four infantry brigades, with the rank of brigadier-general. In early 1917 Herbert was chosen to command the new 4th NZ Brigade, to be formed and trained in England. Minnie Hart also arrived and was able to live near Codford Camp, allowing the Harts a brief domestic life. The new brigade sailed to France in late May and its big moment came on 4 October during the Battle of Broodseinde when a successful advance was made and many Germans captured. Hart’s brigade was disbanded in February 1918 and he took over 2nd Infantry Brigade. On 18 February his headquarters at Polygon Wood was gas-shelled, Herbert being badly-affected and blinded for a week. He was removed to England and had months of convalescence and training troops before taking over the NZ Rifle Brigade in July 1918. He was still in command when the brigade successfully captured Le Quesnoy on 4 November, the last major battle for New Zealanders in World War One. After brief service in the occupation of Germany, Herbert arrived to a warm Carterton welcome on 25 April 1919. He returned to the law, moving to Masterton in 1920. The Territorial Army remained an interest until his retirement, as brigadier-general, in 1930. Herbert Hart was the Administrator to Western Samoa in 1931-1935, for which he was knighted. A few years later he became the Middle East administrator for the Imperial War Graves Commission, based in Jerusalem. This continued into World War Two until retirement in 1943. Herbert Hart was a keen hunter and shot deer in Westland and various big game animals in Africa. He was the founding president of Masterton Rotary and retained an interest in the RSA and sport, particularly bowls. He died in 1968 in Masterton, the last senior commander of the NZEF.